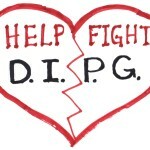 1/30/2017–the DIPG Awareness Resolution is introduced as H. Res. 69, with Congressman Steve Knight (R-CA-25) and Jackie Speier (D-CA-14) introducing. 4/30/2017–Relay for Jack nets $1250 for DIPG Research at Children’s Cancer Therapy Development Institute, cc-TDI. Relay for Jack was “Run the Rocks” at Vasquez Rocks County Park in Agua Dulce, CA. 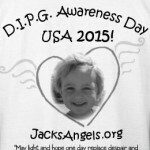 5/17/2017–DIPG Awareness Day in Santa Clarita CA, the State of California, and in 20 other states in the USA. 1/13/2016–HRes586, National DIPG Awareness Resolution is introduced to the US House of Representatives by Congressman Steve Knight(CA-25) in collaboration with Congresswoman Jackie Speier (CA-14) and both Co-Chairs of the Congressional Caucus for Childhood Cancer. 4/20-24 200 mile DIPG Awareness Run for HRes586 from Bakersfield to Huntington Beach, CA, honoring the McKenna Claire Foundation, Jack’s Angels Foundation, and the N8 Pediatric Brain Tumor Foundation. Childhood Cancer Talk Radio, debuting 1/14/2016, reaches over 3 million listeners in its first 4 months of weekly airtime. Joint effort with Michael Mosier Foundation and Smashing Walnuts Foundation to re-introduce the National DIPG Awareness Resolution for 2017, choosing the date May 17, 2017 to be the targeted first National DIPG Awareness Day. SUBSCRIBE HERE for news and updates. Jack’s Angels is driven by volunteer energy. We have no paid officials, and are surviving on community goodwill. Our aim is spiritual first, commercial only insofar as it serves the purpose of raising awareness to the urgent need for research for our children. Our officers are listed below. In 2016 Janet Demeter started “Childhood Cancer Talk Radio” as Jack’s Angels advocacy arm for children with cancer, and DIPG Advocacy Group in 2017 in support of awareness legislation for DIPG and the urgent need for greater pediatric cancer research funding, continuing to this day.